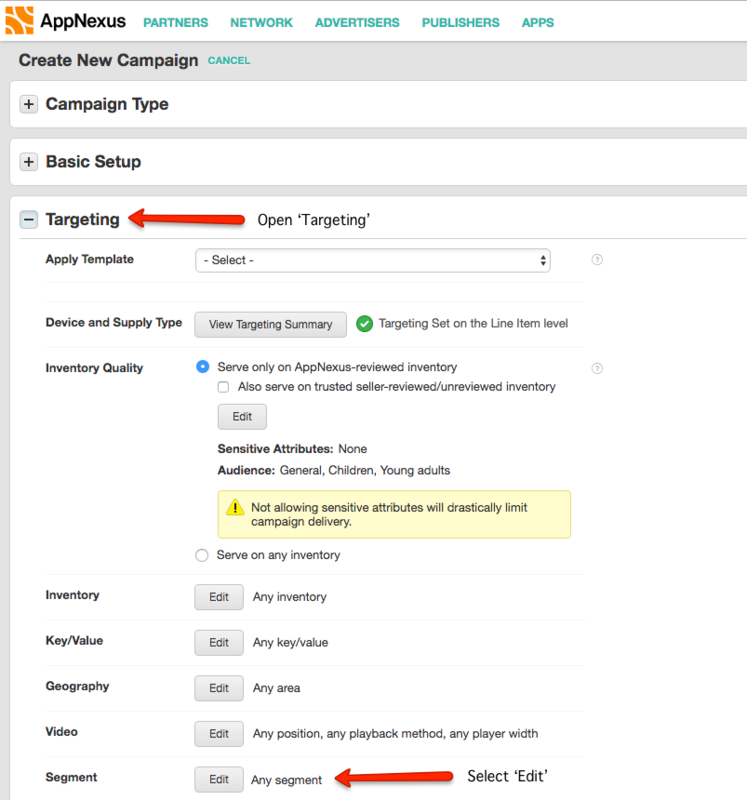 With Permutive's AppNexus integration, you can pass segments over to AppNexus for targeting on campaigns. To send segments to AppNexus, you must first have the AppNexus integration enabled. Set up the properties for your segment. For more guidance on setting up segments, see this guide. Switch it on (so it turns green) and save the segment. Your segment will now be sent to AppNexus as the SegmentName prefixed by 'Permutive -'. The reaction sync described above only works when saving the segment for the first time. If you'd like to create and save your segment and send it to AppNexus later, follow the below steps. At this stage, we'll assume you already have your segment set up. If this isn't the case, you can learn more about Permutive segments here. 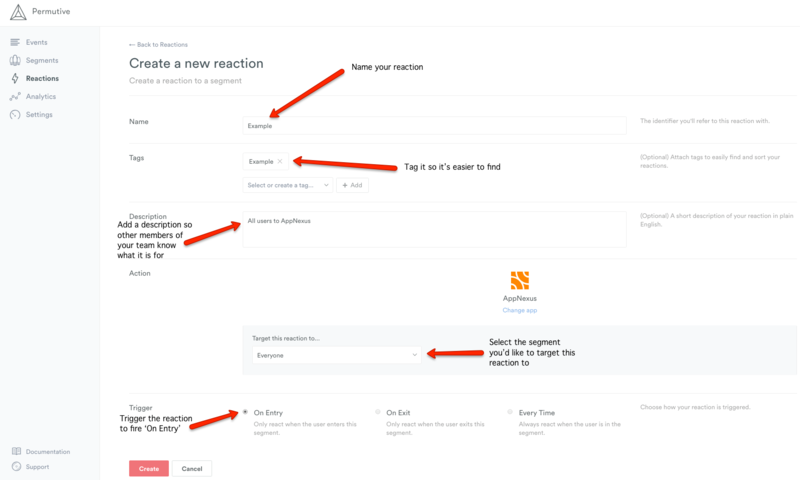 Go to the Reactions section of the Permutive Dashboard. Click + AddReaction. Select 'AppNexus' under Action, then fill in the details. Give the AppNexus Reaction a name and pick the segment you want to target. Set the trigger to 'On Entry'. When you return to the AppNexus platform, head to Network > Segments > Segment Manager to view your segments. Those sent from Permutive will be prefixed by 'Permutive -'. To set up a set up a campaign, go to Advertisers > Campaign Manager > Select your Advertiser > + New Campaign. Enter your campaign information and then expand the 'Targeting' section. Select the Permutive Audience you'd like to use in this campaign and hit 'Save'. If you have any questions, or want help getting set up feel free to email us on support@permutive.com or contact us over LiveChat.